Regular visits with your doctor help you get the best care you need to improve and maintain your health. Annual visits also help you build a better relationship with your doctor and give you the opportunity to talk to your doctor about your overall health concerns or discuss other the medical care that you may be receiving. A yearly physical examination is the time to see what’s right and what’s not in relation to your health. Don’t base your decision to get an annual physical exam and common preventive procedures on how you feel or whether illness you have the time. Base it on how you want to feel in the future and how much time you want that future to have. Plus many healthy plans, such as Blue Care Network’s Healthy Blue Living plan, require you to receive an annual checkup. • Mention all medications you are taking and even those you are supposed to take but don’t. Make a list, or better yet, eliminate any doubt by bringing all your pill bottles, including over-the counter pills and supplements. • Tell the doctor about what you used to do, but can no longer do. For example, if you used to run but your knee bothers you, or if you used to garden or knit, but your hands and fingers ache, tell your doctor. If you don’t share these problems with your doctor, you may miss out on the opportunity to improve your health. • Tell the doctor about your concerns — or fears. It may be difficult to talk about being depressed or if you’re having incontinence problems, but your doctor can help. • Mention if a family member has recently been diagnosed with a serious disease or condition. Many patients provide a family history when they make an initial visit, but it’s also important to keep this information current. • Before you leave, make sure you know what you’re supposed to do next. When are you due back? Are you supposed to call, or will someone from the office call with your lab results? What routine screenings are coming up next? How should you prepare for them? Remember, your relationship with your doctor is a partnership. Effective communication will help you and your doctor make the best decisions for your health. 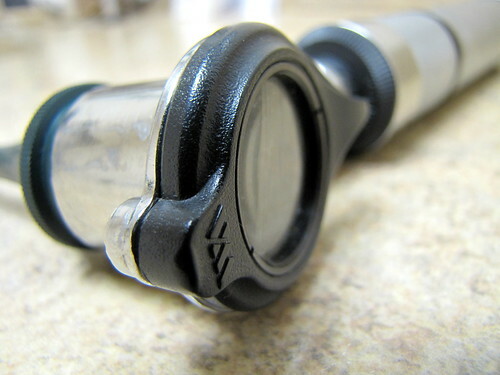 • An estimated 31.3 percent of Michigan adults didn’t have a routine checkup in the last year. • Those aged 24-35 were least likely to visit their doctor (47 percent). • Of those over 75, almost 90 percent visited their doctor. • Men were more likely not to have had a routine checkup when compared with women (37.9 percent vs. 21.5 percent). • Among those who didn’t have a routine checkup, the majority (74.3 percent) have health care coverage. What do you think keeps men from getting an annual health checkup?